Sometimes I hear something and I am somewhat gobsmacked that I did not know that fact. Today will be an enlightenment in some beauty facts that may one day make conversation or at least raise an eyebrow. M.A.C Cosmetics was founded by 2 men called Frank in 1984. M·A·C was established in Toronto when makeup artist and photographer, Frank Toskan and beauty salon owner, Frank Angelo brainstormed with the idea of a new make-up line. M.A.C stands for make-up art cosmetics. Fish scales are used in some nail polish to create a pearlescent look. They are slowly being phased out for a cheaper alternative. 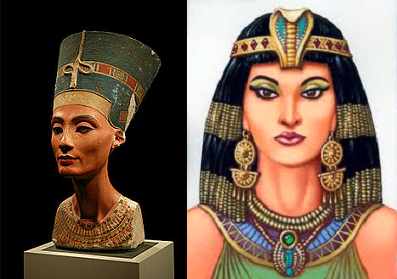 The earliest historical record of make-up comes from the 1st Dynasty of Egypt (c.3100-2907 BC). The women of Egypt decorated their eyes by applying dark green color to the under lid and blackening the lashes and the upper lid with kohl, which was made from antimony (a metallic element) or soot. Charcoal would be used in later years. In the 18th century, England almost passed a law that allowed men to divorce their wives if they caught them wearing makeup. Wow, this one could be used as an icebreaker. The first mascara was created by Eugene Rimmel in the 19th century. Lip Gloss was introduced to the public in 1930 by Max Factor Company. BEWARE! “Kiss of Death” is a term that is commonly associated with lipstick. It was coined because of the “femme fatale” phenomenon in fiction, but also because some ancient civilizations unknowingly used poisonous materials for making of lipstick. Max Factor- A true genius!